An Augusta-based company has an ambitious plan to get homeowners to convert but faces technical issues and criticism from competitors. Captivated by the prospect of cutting their heating bills in half, thousands of Mainers have signed up to convert their homes from oil to natural gas. But signing up is the easy part. Actually getting gas can take patience and perseverance. Just ask Bruce Falconer of Waterville. Falconer has been trying since last summer to make the switch. Last fall, Summit Natural Gas of Maine fell behind in building its distribution network in the Kennebec Valley and delayed Falconer’s service. Now, as evenings turn cool, Falconer is making his fourth attempt to find a contractor willing and able to convert his heating system before Nov. 1, as specified in his contract with Summit. 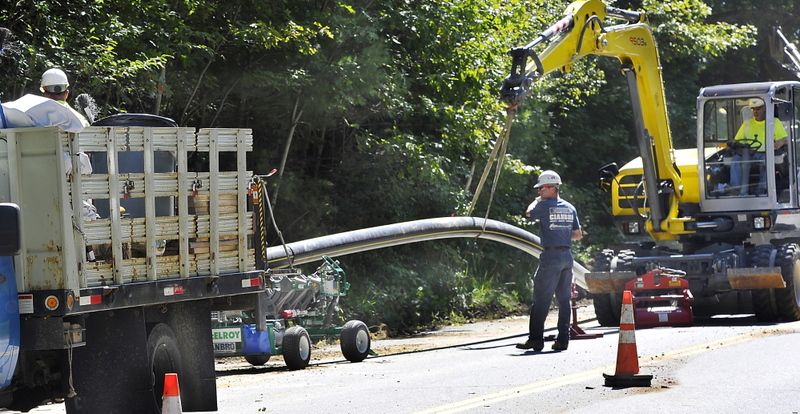 Falconer’s frustrations are familiar to Summit, Maine’s newest and most aggressive natural gas company. Summit is working overtime to convert more than 3,000 homes and businesses in the Kennebec Valley and in Portland’s northern suburbs to gas within the next three months. But by its own admission, Summit is facing “significant challenges” in meeting this ambitious goal. Prospective customers, Summit says, are having trouble lining up contractors who are familiar with natural gas and can make timely, reasonably priced conversions from oil and propane. This and other issues have led Summit to scale back its service targets. It initially planned to hook up more than 4,000 customers this year. In an effort to stay on pace, Summit received permission two weeks ago from the Maine Public Utilities Commission to form an unregulated subsidiary to help home and small-business owners who want to switch. This new division will work with local contractors to guide customers through the conversion process. It will install burners, furnaces, water heaters and other appliances, and repair and maintain them. And in a move aimed at people who can’t afford to buy, Summit will lease burners and other equipment for a monthly fee. The company’s ambitious plan complements state policy to reduce dependence on oil, which is the primary heat source in six out of 10 Maine homes. But Summit’s new division, and the idea of renting equipment, have drawn opposition from oil and propane dealers. The dealer trade group says Summit’s broader goal is to recover its multimillion-dollar investment in pipeline construction by selling as much gas as possible, even if some customers might be better off with other heating options. The group also contends that the price advantage gas now has over oil is overstated and may shrink in time. 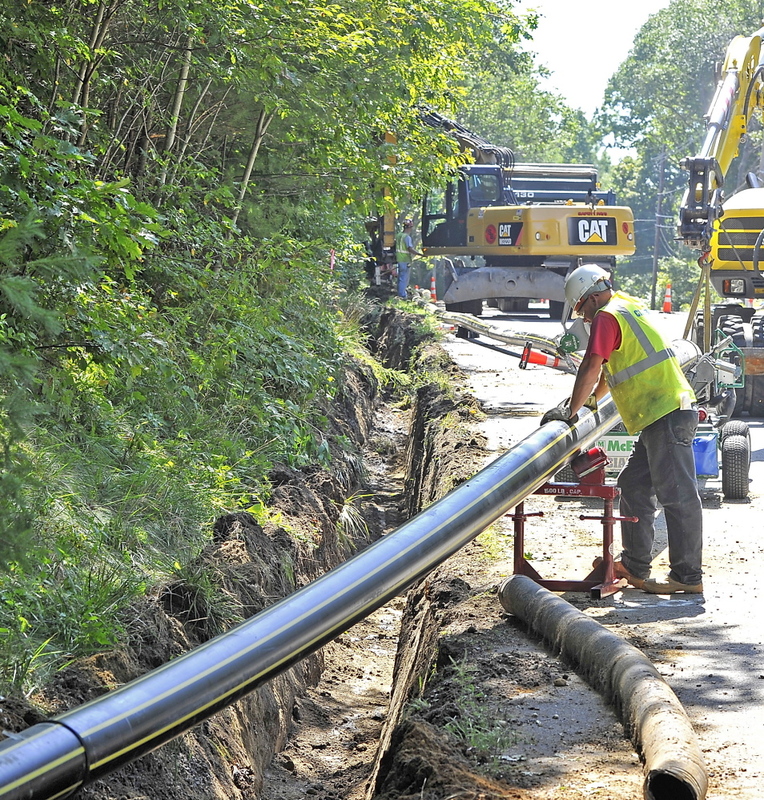 The group, the Maine Energy Marketers Association, also has launched a campaign to make its case in communities where gas pipelines are expanding. A mailer sent to homes this month contains headlines from news stories, such as: “Natural gas prices in region spike,” and “Shrinking natural gas reserves complicate Maine’s efforts to expand service in state.” Absent from these headlines are the actual stories and their context. The first story, for instance, dealt with the short-term impact of New England’s pipeline capacity shortage on factories and power plants during last winter’s cold snap. The second article was about levels of gas placed in storage in the United States for this winter, not the long-term availability of natural gas. Taken together, the mixed messages are creating confusion, as thermostats begin calling for heat across Maine. Summit’s request to form a conversion division got a hearing earlier this summer at the PUC. At one point, an attorney representing Cumberland, Falmouth and Yarmouth asked Stacey Fitts, Summit’s regulatory manager, to clarify the problem that the company was trying to solve. Fitts answered in a historical context. Mainers have heated with oil for a long time, he noted, and a provider network has evolved to serve that need. 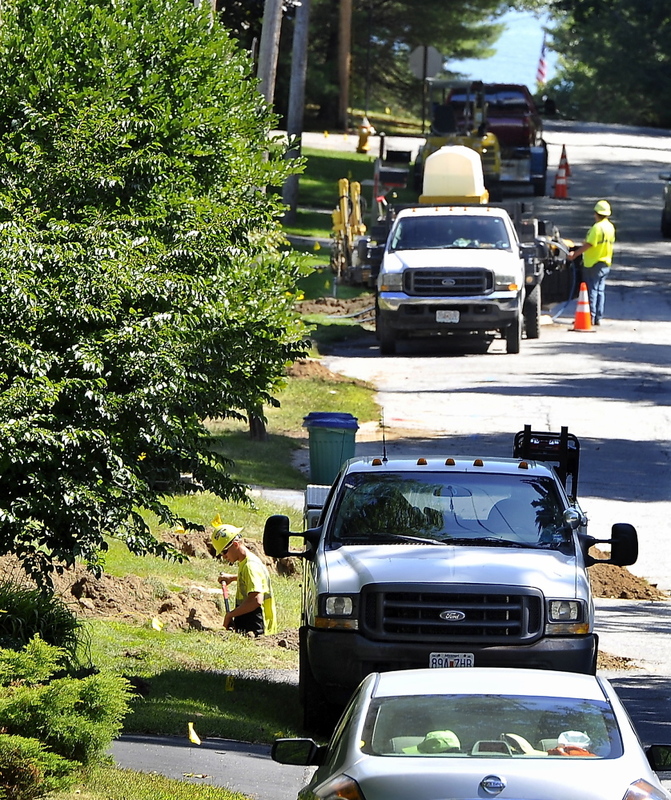 Now comes natural gas, and it’s new to most residents. “And we are asking them to give up what they’re used to, to move to a new form of energy they don’t necessarily understand,” said Fitts, a former Republican legislator who co-chaired the committee that deals with energy issues. Summit’s new division was approved in early September, after agreement was reached with intervenors that included the Office of Public Advocate and the three towns. Prices haven’t been made public yet, Fitts said. But a large share of the business may come from burner conversions, in which a heating unit is retrofitted to burn gas without a full replacement. This option works best on oil units less than 5 years old. In general, an oil boiler can be fitted with a gas burner for under $3,000, Fitts said, compared to $5,000 to $8,000 for a new boiler. But the focus on conversions is being criticized by the oil and propane dealers group. In response, Fitts noted that Summit is offering $560 in conversion incentives, including 12 hours of weatherization work from Efficiency Maine that can cut heating demand by 10 percent to 20 percent. Last winter, average home oil prices ranged from $3.56 a gallon in the fall to $3.90 in late winter, state records show. The current statewide average is $3.38 a gallon. In Waterville, Bruce Falconer has moved past that debate. He has decided that oil prices are too volatile, and he wants gas, which he expects to be more stable and affordable. 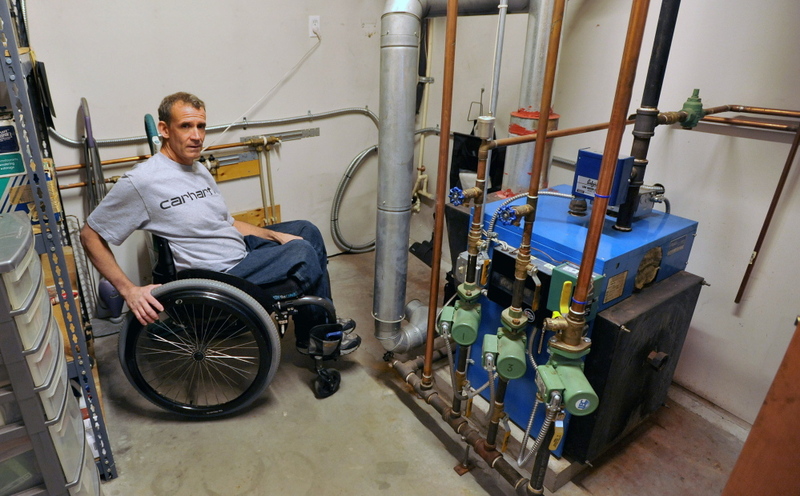 Estimates from Summit indicate that converting the burner on his 10-year-old oil boiler will cost $2,500 or so, compared to $12,000 for a new, high-efficiency unit. This month, work crews were installing service on his street, and he feels confident now, with Summit’s added involvement, that he’ll finally get hooked up. “I’m still not sure who is going to do my conversion, but someone will do it,” he said.